Home » Learning Center » Gemology » Synthetic Gemstones » Are Man-Made Gemstones Real? These are my own personal opinions and observations, other people may have different ones. In my opinion, most types of man-made rough, with a few exceptions, are being cut and sold as finished natural gemstones. 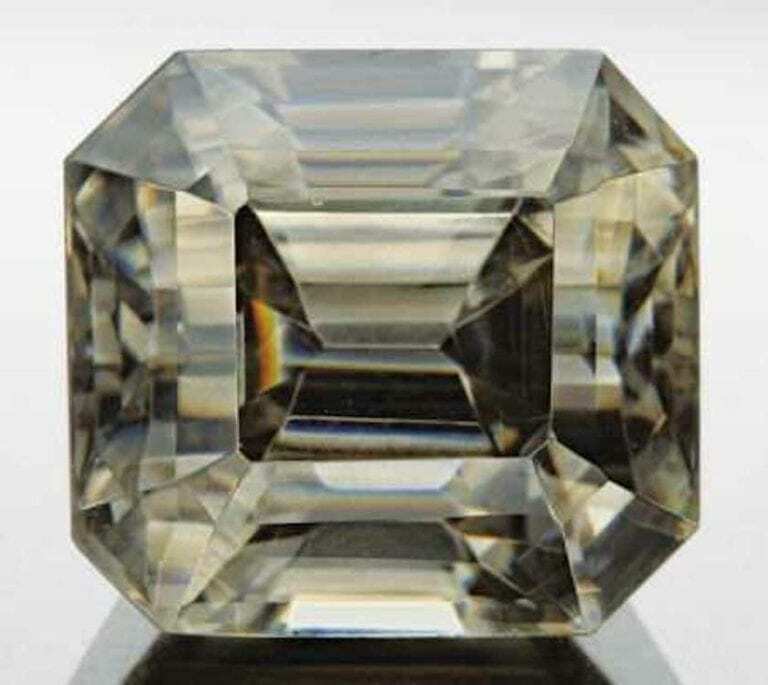 As a matter of fact I think a very sizable amount of faceted man-made gemstones are being sold as, well… real to the average, not too well informed public buyer. To me if a human made it in a lab, it’s man-made. I do not care if they call it “Created”, “Synthetic”, or Mar’s rocks. If it is made by man, it’s man-made. That does not make it bad, just man-made. Some people make the distinction between different types of created or man-made materials. Here are a few general definitions. What is the difference between Man-made, Created and Synthetic materials? Yes, the hobby market (people who cut stones) and the costume jewelry market both do use man-made materials/gemstones and the jewelry market is probably fair sized for these materials. Think “Pink Ice” CZ at your local bargain department store. But these markets come no where near to using the large volume of the man-made rough manufacturers are producing each year. A large part of man-made rough is being cut and sold under dubious circumstance. For example I have a friend that owns a cutting house in Bangkok. He told me years ago that they were cutting 10,000 carats of man-made Fosterite (Tanzanite stimulant) a month and that they were planning to increase the total carats cut a month from 10,000 to 50,000 carats a month. Note: They are now producing over 100,000 carats a month. Or were at the time I wrote this article. Note: This is just one cutting house and only one man-made material, there are many types of man-made materials and hundreds of cutting houses all over the world, a lot of them doing the same thing. Quartz in particular comes to mind. Imagine the amounts of man-made material being cut and sold under questionable circumstances? Why are man-made gemstones so prevalent in the market? This is nothing new… Man-made materials have been substituted for real materials virtually from as far back as records can be tracked, so this is not all that unusual. The main difference of course is the amount and quality of man-made material available to day. 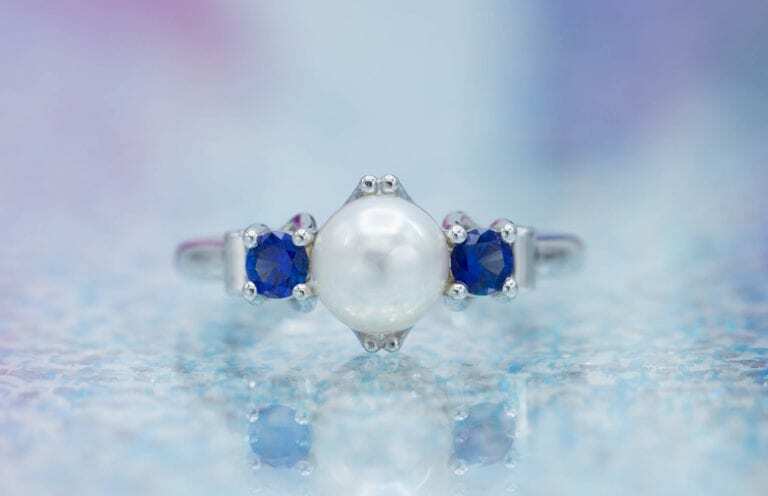 Man-made materials today are can be almost completely identical to the natural gemstones, right down to the types of flaws and inclusions they have and very cheap and plentiful. 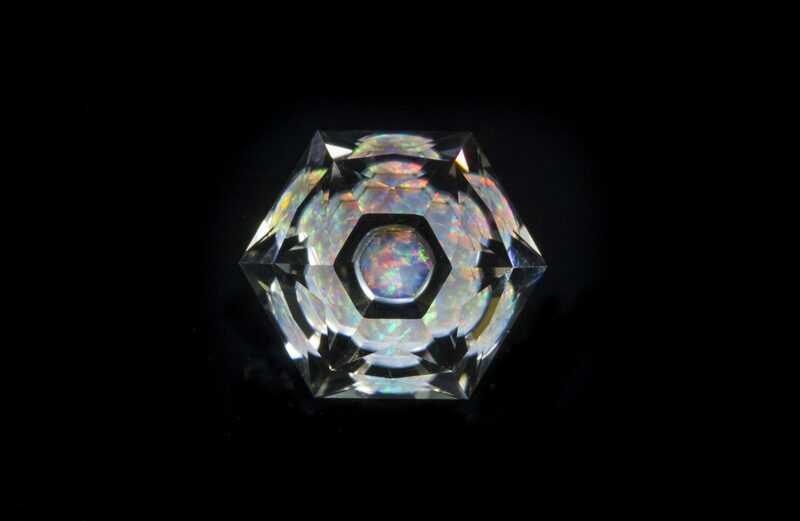 Most of the reasons for man-made materials being cut and sold in the market as real gemstones are obvious and simple. Here is a few of the main reasons in my experience and opinion. Availability – When some thing like man-made Quartz’s come out of a lab by the ton and is all flawless, consistently any color you want and very easily obtained. It’s bound to be slipped in for the real thing. There is always a few unethical cutting houses, dealers, suppliers, et… willing to make a quick easy dollar. It is just much cheaper and easier than the real thing. Greed – Not surprisingly there is big money in cutting and selling man-made materials as natural. This is especially true when man-made can be slipped in with natural gemstones with virtually no chance of being caught. For example, man-made Amethyst is pennies a carat cut, but cut natural Amethyst will generally sell for several dollars a carat at least, usually more. So as you can see there is a lot of profit and very little risk. I have seen reports in major trade magazines that say 80 to 90% of cut commercial Amethyst and Citrine is man-made. Culpability – It is also important to keep in mind that the vast majority of the man-made material being sold as real is never really caught. Why? Here are a few reasons. One major problem is… How do you file charges against dishonest dealers in Bangkok, especially India or any foreign country? Or even in the USA if it is a small amount of money, lawyers and legal suits are very expensive. Especially if the stones that were sold are not of great value. Most lawyers want $150 to $300 an hour, and in a lot of foreign countries there is really no legal recourse, anyway. Once cut, man-made material is hard to spot and depending on the material can be almost impossible to detect. Man-made cut stones are very commonly slipped in with some genuine stones once they are all cut. 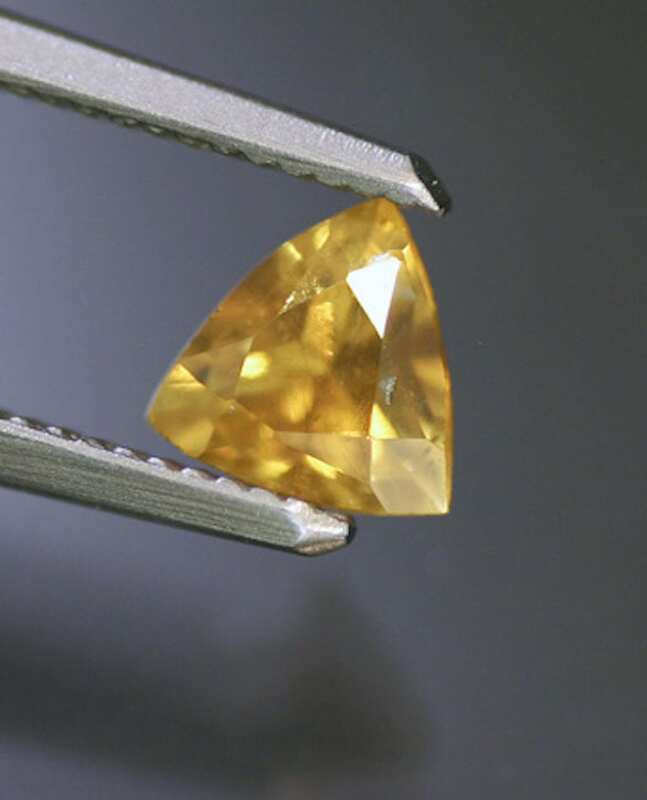 This is especial common in small stones, or what is called melee (under 5mm) in the business. But larger stones particularly Amethyst and Citrine are commonly substituted too. A lot of these materials, especially created gems are extremely difficult to detect and take an expert, as well as some pretty special equipment. The cost of testing can often be more than the gem being tested is worth. 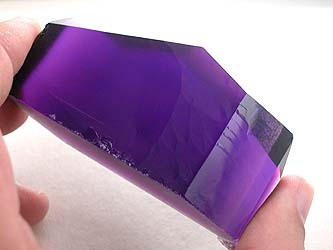 For example, testing Amethyst costs $50-$70 a stone (as of this article). This figure was sited in a recent trade magazine (2004-2007), it may vary. Testing will get easier and cheaper as technology improves, but you get the idea. Much of the Amethyst that was being tested sold for a lot less than the cost of the testing. I have been told GIA and others are trying to develop cheaper/better ways to test. But testing is generally not cost effective, time consuming and not widely done. Especially in smaller less expensive stones. Note: There is some man-made material being sold as natural rough, but it is fairly easy to spot by an expert and not any where near as common. Of course the reason it’s not very common is because man-made material so easy to catch when it is rough and they make much more money selling it cut. Man-made cut stones bring a lot more money than the man-made rough costs (obviously). Especially if sold as real or by the “Don’t ask don’t tell” method that some cut stone dealers/jewelers use. Also keep in mind that the cut stone dealer/jeweler may have bought the finished stones from his supplier in good faith and not realize that they are not natural. The supplier may not realize it either, finished gemstones often change hands many times before they are set in jewelry and reach the customer. This again is my personal opinion. But none of the major industry trade groups have made a real concerted effort to identify and stop these problems. They have set some guidelines for members (in some cases) and tried very half heartily, but with out much success to get these reforms excepted by others. Of course quite a few of the “other people” that will not except the guidelines are generally the ones guilty of causing the problem(s). At the AGTA 2006 Tucson February gem show they have finally set up a testing area in the show where gem stones can be tested and checked by gemologists. This was a long time coming but I have to say it’s a very good idea and something I think all of the gem show promoters/associations should do. Note: Testing costs money. Keep in mind that the testing is almost always done on more expensive stones, so usually things like Amethyst and Citrine still fall through the cracks and are not tested. The test costs more than the stone. Most of the various trade association’s and their policies have not really had any teeth in them in my opinion. In some cases they cannot do much about it, but they can certainly police their own members better. Almost all the various policing efforts by trade groups have been pretty half hearted and have been ineffective in my opinion. Trade groups have a conflict of interest by definition, and just are a very poor way to police the bad guys. Very little policing is getting done and the problems just get worse. Note: There are many different trade associations and groups, I am not pointing any particular one out. I am talking in general. I have been to trade shows by some of these associations/groups/federations and seen cases and cases of gemstones that have been diffusion treated (all the stones are the same color) or seen cases of Amethyst being sold at such a low rate, well it is obvious it is not natural. Almost anybody in the business you ask will say they have seen the same things. These are frankly pretty common experiences. As for most gem show promoters. Well I do not have anything good to say about most of them so you can guess. Most promoters are just as happy to sell a booth to a guy selling sun glasses at a gem show as actual gemstones and related items (like minerals, gemstones, rough). There are a few decent gem show promoters but a lot of them are just after the buck. Think used cars salesman and you will be pretty close to what most show promoters are like, only with less morals and scruples than a used car salesmen. Most promoters make no effort to verify that the stones being sold in their shows are genuine or really care. To be honest it would be a difficult task to do even if they wanted too. But they could follow the AGTA’s example and set up testing. They may do so, time will tell, but I would not hold my breath. 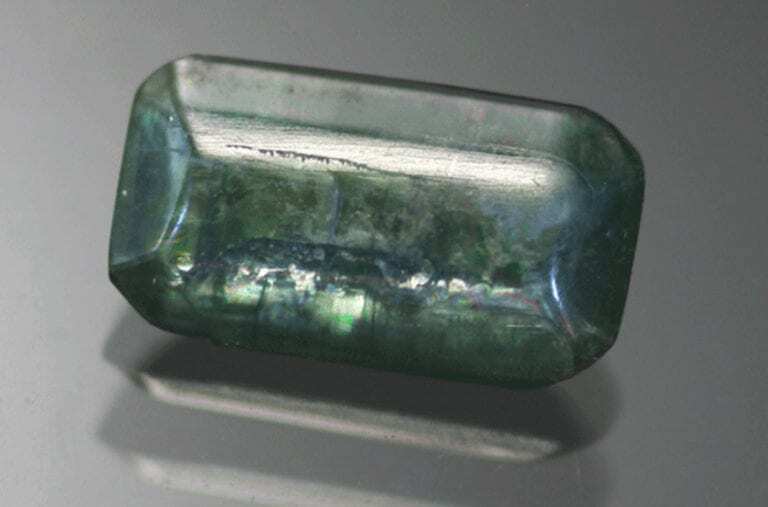 I have always been of the opinion that the manufacturers of man-made rough (especially ones like Emeralds, Tazanite, Diamonds, Rubies, Quartz) should be required by law to put a dye tag (one that you would only see in a certain wave length special light) into their man-made rough that denotes man-made. If all the manufacturers are marketing their material as man-made and intend for it to be marketed as man-made, a dye tag to identify their rough/materials as such would make no difference to the man-made market. The man-made, market is supposedly their main market. They all claim it is anyway. Note: One of the Ruby manufactures does put a tag like this in their man-made material and I give them high marks for their honesty. But they are about the only people that do tag their material. The fact that most of the manufacturers do not use something like a dye tag to mark (identify) their materials as man-made and will not do it. Well, the question I have to ask is… “Where and what is their real market?? ?” I personally am of the opinion that sooner or later all of these issues are going to have to be addressed. The trade associations and the gem show promoters need to be taking a more active role in dealing with these problems. It’s just a matter of time before these various problems are going to become public knowledge and could (probably will) seriously effect the gemstone and jewelry business as a whole. If you are in doubt about what some of these practices can do to the gem market, look at what happened to the Emerald market. A while ago when the stories (some quite accurate) of the treatments and questionable practices that where being used by some people in the trade became public the market tumbled and has still not recovered, it may never recover. The Emerald market has never been the same, and at one point was almost ruined. Also lets not forget the jewelers. 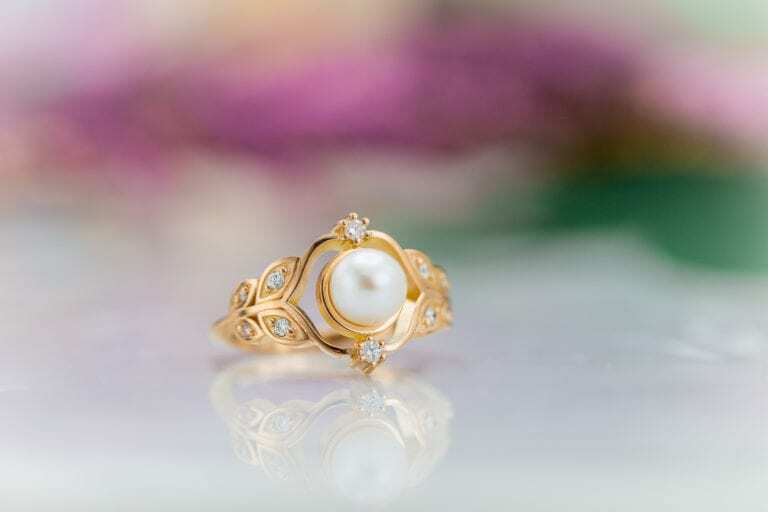 Many jewelers know perfectly well what is going on with man-made material and they are playing “do not ask, do not tell… ” Many jewelers are using and selling these man-made stones. The jewelry manufacturers and jewelers need to be honest and stand up to the people selling man-made materials as real or do not ask… The fact of the matter is many jewelers are guilty of selling man-made as real too. No not all jeweler’s do, some are honest, just like some stone dealers are honest But there is plenty of both that are not honest and that is the reason that man-made stones being sold as real is so common, especially in Quartz and lower cost stones. The only real way to know if the stone you are buying is genuine is to either have it tested or buy from the person that actually cut the stone and of course is honest. There are no guarantee’s in life but generally by testing and dealing with honest cutters and dealers you will certainly get quality “real” goods.